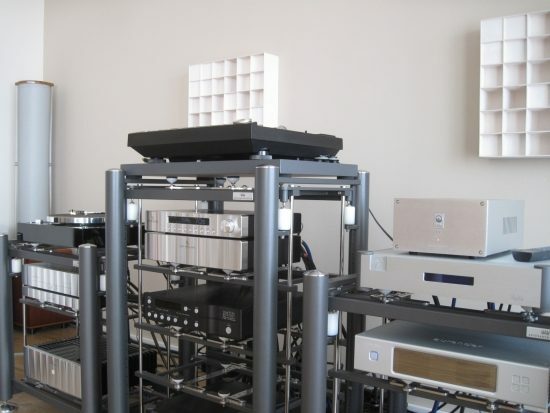 The manufacturer’s website reads “SW1X Audio Design stands for hand crafted, ‘state of the art’ audio equipment design. Everything is made by hand in England, and every product is engineered with just one objective in mind: to resurrect the spirit of music in a recording”. 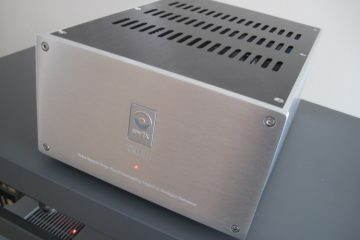 And sure enough, this solidly built preamp really communicates the spirit of whichever piece of music you play. The Sw1x LPU 1 is based on a classic circuit design used to master vinyl recordings and master tapes. Inside are EF80/EF86 valves in pentode mode for the input stage, a passive RIAA equalization network (without series resistors) and the 6N6P double triode for the output stage. To round off the absence of silicon nicely, the power supply is valve rectified and choke filtered. Around the back things are simple and fool-proof: an earth connector, 1 pair of cinch inputs, 1 pair of cinch outputs, both silver plated and very sturdy, an IEC inlet and a hard power switch. Input impedance follows the norm with 47K and output impedance is specified as less than 1K Ohm. The latter seems high compared to solid state designs, but I’m told is actually very low for a valve based, class A, zero feedback anode follower, relative to all capacitor decoupled designs available. Of course this is relevant only when combined with components that have a relatively low input impedance. The Jeff Rowland Corus preamp that I use has an input impedance of 40K Oms which is pretty high, but many preamps and integrated amps use an even higher 100K Oms, which will make for an even better match. 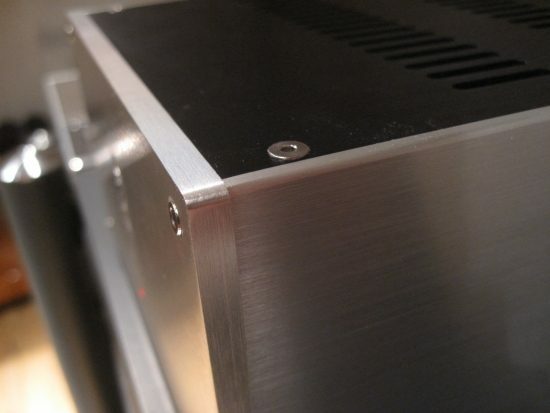 Gain is a healthy 40-46dB depending on tubes used. The LPU 1 review was perfectly timed, as I was just conducting a comparison between several phono stages, cartridges and headshells, and so the LPU 1 was listened to using 3 turntables, 3 cartridges and 2 headshells. Initially on top of the sturdy Wadia, for critical listening, the LPU 1 was placed on its own level. 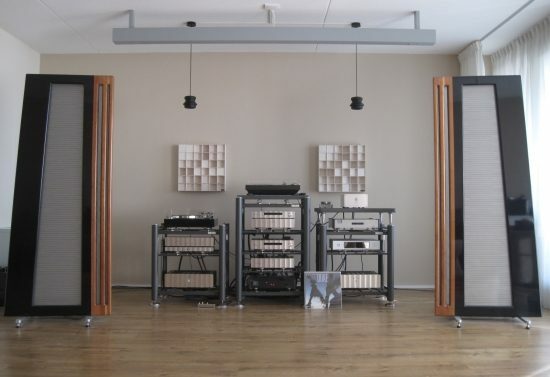 Tubes are often associated with a warm and lush sound, just like turntables are thought to usually sound smooth and forgiving. While these characteristics can certainly be attributed to some tube designs and some turntables alike, this need not be the case. Just like turntables can sound incisively dynamic and highly revealing of recording quality, tubes can sound very clean, fast and lively. 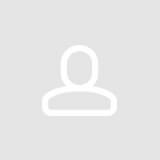 Some tube designs can however indeed sound overly woolly and although that might be precisely what some people are looking for, this can lead to a diminished communicative quality and might put off people looking for more neutrality. Neutrality is a word that can sometimes hints at a bland sound, but this certainly is not the case here. The LPU 1 strikes the perfect middle ground with a subjectively very flat frequency curve. It has no excessive warmth but also no lack of harmonic richness. It sounds highly neutral yet wholly natural. It doesn’t sound like a transistor design but also not like a typical tube design, but still it exploits what I regard as some of the most alluring qualities of tube designs, such as midrange magic and treble purity. 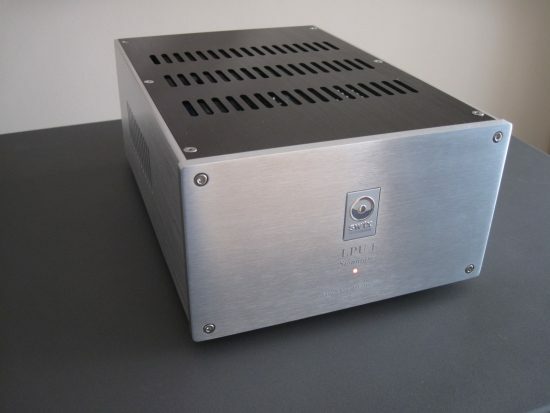 Tubes are said to be noisy, and especially with devices working with such low voltage signals as phono preamps, this can be tricky, but the LPU 1 was every bit as silent as any of the solid state preamps that I had heard in my system. 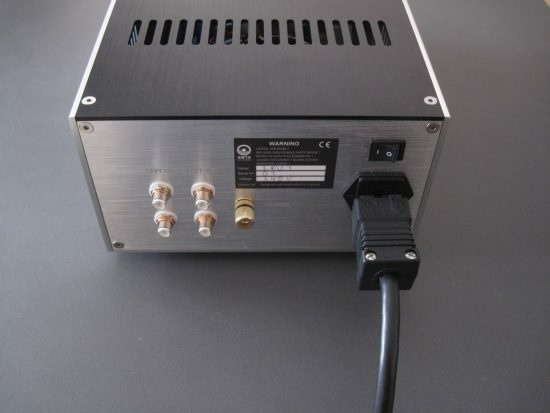 For this review, the LPU 1 was used with a Belden power cord with a Furutech FI-15G gold plated IEC connector and Hifi-Tuning Gold plated schuko. 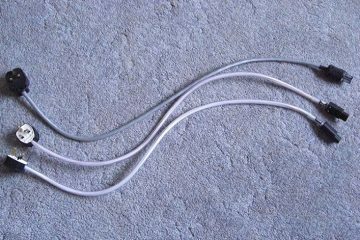 The Belden is a perfectly natural cable and these connectors give it a hint of smoothness. Interlink used was a Siltech MXT Paris. Starting with the bass, the LPU 1 is articulate, tuneful and nimble. In my setup the bass performance was in line with the unit’s overall character. I have heard more punchy bass from other (solid state) phono preamps, but this may also be an effect of the impedance match between LPU 1’s <1K ohm output impedance and my preamp’s 40K ohm input impedance. The midrange is where the LPU 1 really shines. First and foremost there is a highly communicative quality to it, not loud or forward or in any way out of character, but utterly lifelike. There is real substance and body to instruments and vocals, with excellent 3D imaging front to back. 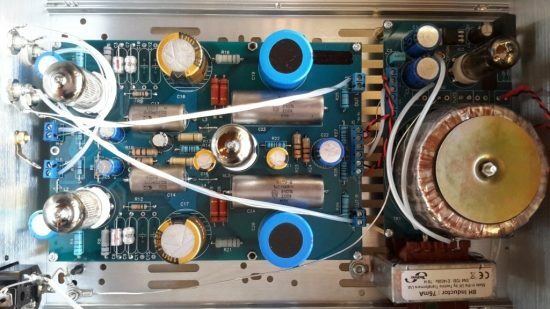 What’s more: the LPU 1 manages to exploit all of the magic that tubes are capable of, without sounding in any way bloomy or congested. Also important: tonality, otherwise referred to as timbre, is spot on. There is not even a hint of artificiality or electronic signature. Tonally entirely convincing, the music breathes and sounds live, not like a recording. Treble is superbly refined, airy and extended. It is pure and there is excellent articulation but no harshness whatsoever. 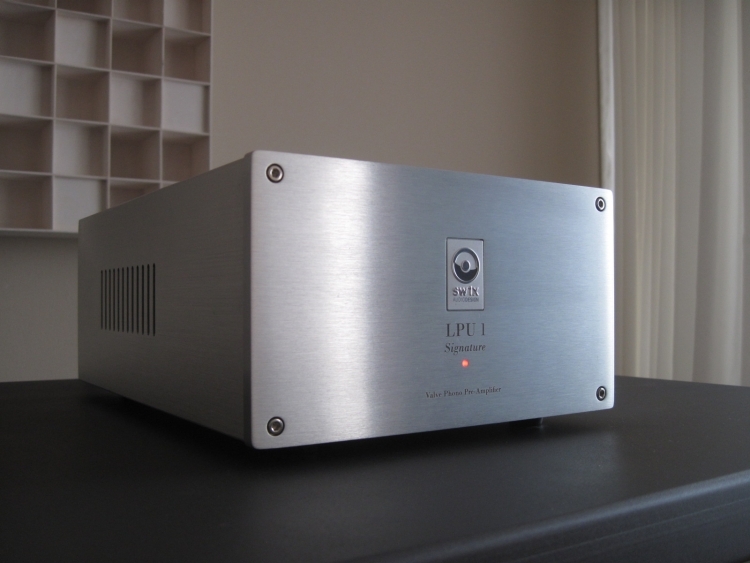 Dynamically the LPU 1 is as expressive as any phono preamp that I have heard in my setup. Note that dynamics describe the difference between soft and loud sounds, not the amount of “in your face sound”. The LPU 1 never once shouted at me and does not provide an “in your face”, edgy sound, and I regard that as a very positive thing. Thankfully the preamp is also not overly polite or restrained, as can happen with non-edgy sounding equipment: if the recording requires it, the LPU 1 can really crack it dynamically. My refurbished Thorens TD160B with SME3009-II arm sounds markedly different from a stock TD160MKII and has quite a lush sound of its own, and is a little bit short on transient attack and bass punch. While the best turntable that I have at hand, its character made it a less than ideal match with the LPU 1. 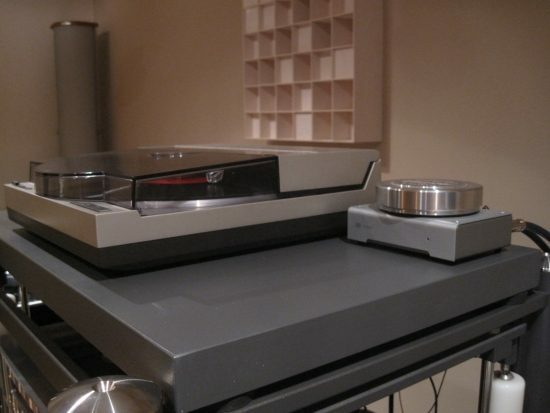 Conversely I found that the Technics SL7 and Pioneer PL-L1000, both Direct Drive designs, matched excellently. 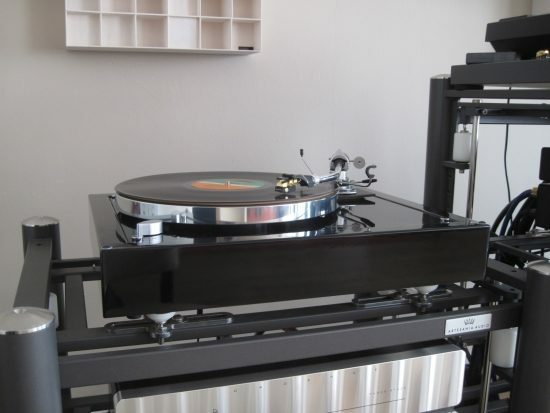 I wish I had a modern belt-driven high-mass turntable as I suspect this might be the ideal match, while also providing a nice alternative to the 25+ year old classics that I currently use. The Technics SL1200MKII is a lively and upbeat sounding turntable but to my ears it sounds a bit bland, lacking harmonic richness. I have a feeling that the LPU 1 could be a game changer for this turntable. Alas I sold my sample some time ago, but I do still have the Technics SL7, which to my ears is a much better player. 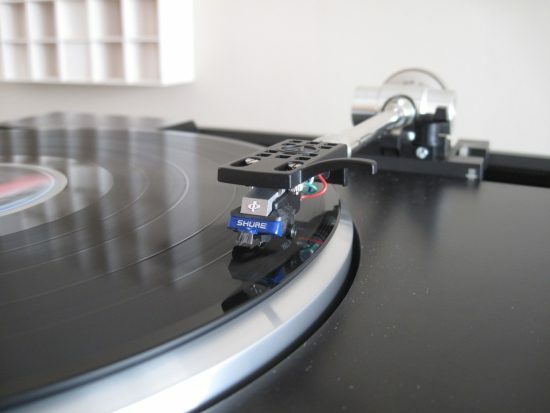 The Technics SL7 is an easy pleaser: it always sounds smooth and enganging. My unit has an EPC-202 cartridge with Jico SAS and this is the most refined P-mount stylus I have heard. The SAS shape retrieves the utmost detail from the grooves, but its very fine micro-ridge-like shape also digs less bass from the grooves than do more normal needle shapes, such as Jico’s more affordable elliptical stylus. It is with the latter cartridge that I find the LPU 1 to sound most inviting. The Pioneer PL-L1000 is a very difficult animal. It can sound quite mediocre or really excellent beyond expectations, depending on headshell and cartridge fitted. The Audio Technica ATN150 MLX is a superbly refined cartridge with a micro ridge stylus and like the Jico SAS, it digs deep into the grooves, revealing hitherto untouched depths of the grooves even with records that sound worn when using a spherical stylus. This AT cartridge is also a little clean sounding, and together with the already very clean sounding PL-L1000, this makes for a presentation that can come across as too technical, lacking emotion, with the solid state MM preamps that I tried so far, that is. 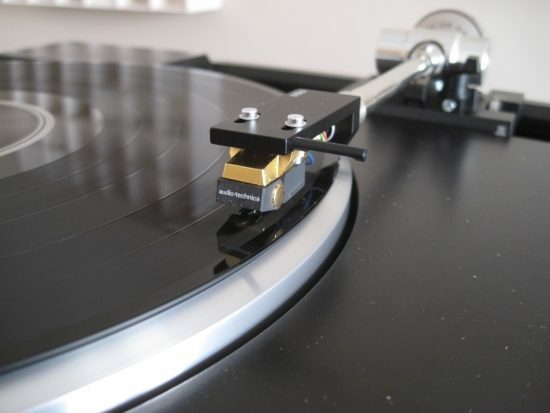 Using an Ortofon LH-2000 instead of an Audio Technica HS10 provided a more solid sound, and used with the LPU-1, there is newfound romance and emotional involvement, without losing speed, dynamics or the overall feeling of neutrality. In other words, the sound is inviting and caressing without being rose-tinted. For that extra little bit of warmth and romance, the Shure M97xE was found to be a very good match. Less refined and airy than the AT but fuller and more sonorous. This cartridge also has excellent bass solidity and in this combination the LPU 1 was the perfect partner. Above: Shure M97xE, mounted in an Audio Technica HS10 headshell. Swapping for the affordable Schiit Mani revealed that the bass impact could be improved upon, but also made for a disappointingly sober sound in comparison. 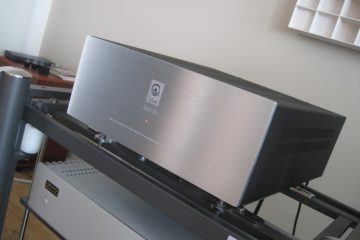 It sounded as if the typical solid state control and dryness worked well for the bass but not so well for the midrange. 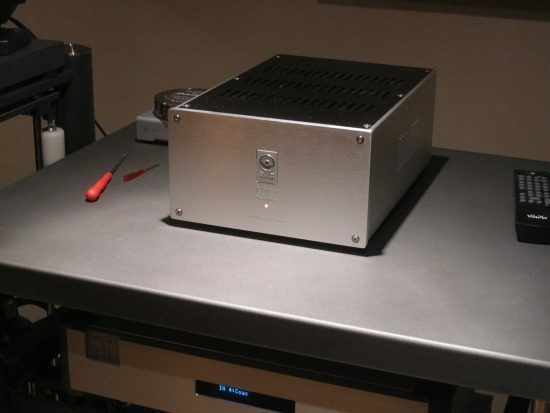 Now don’t get me wrong – the Schiit is also perfectly neutral in its own right and it offers incredible value, but spend more, and you also really get more. 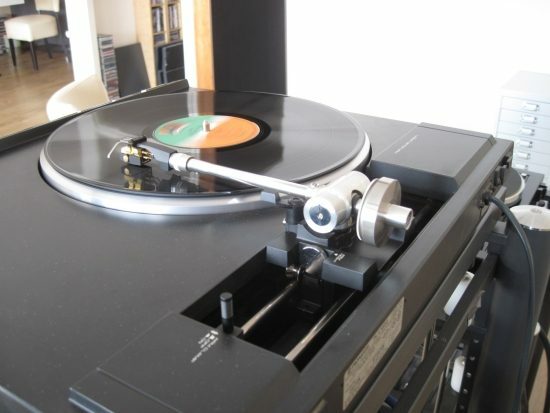 This is also a matter of system matching of course, the Mani sounding much more in its element when fed from the smooth sounding Thorens TD160B with SME3009 II. 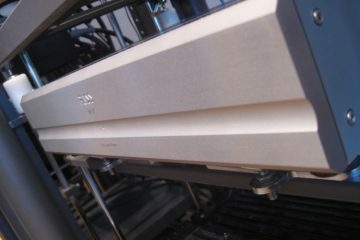 For a while I also owned a Pass Labs X-Ono phono stage. I wish I had it available now for comparison, but from memory I know that it had excellent bass and very natural midrange tonality, but I also remember that it was less refined than the Rowland Cadence. The Sw1x LPU 1 by comparison would not have the Pass’ bass heft, but I’m sure it would definitely beat it in terms of resolution, refinement and harmonic purity. Ultimately in audio everything is relative and system dependency is a make or break factor. 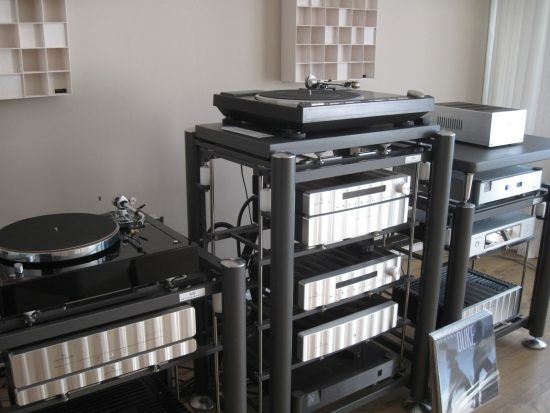 The interaction between speakers and the listening room is one such factor, but perhaps just as critical is the combination of turntable, arm, headshell, cartridge and phono preamp. There are simply a lot of factors that come into play and a happy marriage can sometimes seem to be a matter of expertise as much as one of luck. I won’t state that I exhaused all the possibilities to get the maximum out of the Sw1x LPU 1, but I do think that I have tried enough combinations to be able to come up with an overall conclusion regarding its performance. The LPU 1 does not sugar-coat the sound, so people looking for the stereotypical overly lush and creamy tube-thickness may not be served. That said the LPU 1 also does not have even the slightest hint of solid state-ness in its character, which makes sense because it is a pure-tube design. In fact this unassuming phono pre amp is every bit as refined and harmonically rich as I have heard them, and makes me think of the Jeff Rowland Cadence. The LPU 1 is every bit as romantically appealing as the recording requires, but without ever letting the emotionality cloud its neutrality. Because of this, it works just as well with smooth soul as it does with uptempo rock. Now updated to latest spec and fitted with a 6N1P tube instead of the 6N6P, the LPU sounds even more expressive and dynamic, even outperforming the Pass XP-17 in those areas. Read the review to see how the LPU-1 compares. The sound of vinyl, when reproduced at its best possible glory, has always been my reference for designing the SW1X digital gear. 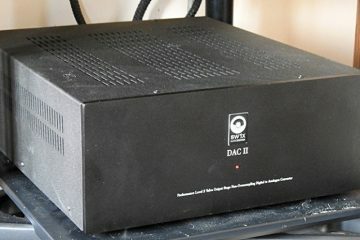 The LPU I just like the DAC I is our entry performance level 1 product. It is based on a classic circuit design, combined with selected parts and materials it is timeless just like the vinyls is.